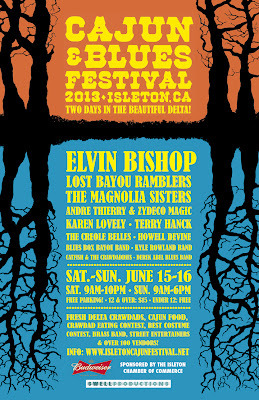 ISLETON - The 2013 Cajun & Blues Festival set for Father's Day weekend, Saturday and Sunday, June 15-16. on Main Street in the Delta hamlet of Isleton. National headliners like blues legend/Grammy winner Elvin Bishop and two impressive Cajun bands flying in direct from Louisiana, The Lost Bayou Ramblers and The Magnolia Sisters (with Grammy winner Ann Savoy) will top the line-up. Also on the bill are Bay Area Louisiana music favorites, Andre Thierry & Zydeco Magic, The Creole Belles with Andrew Carriere, and the 2012 Blues Music Award winner, Terry Hanck and his sizzling blues/soul band. Portland, Oregon's blues diva, Karen Lovely is a barnburner. Oakland's rising blues stars, Howell Devine (Arhoolie Records recording artists) will play both days. 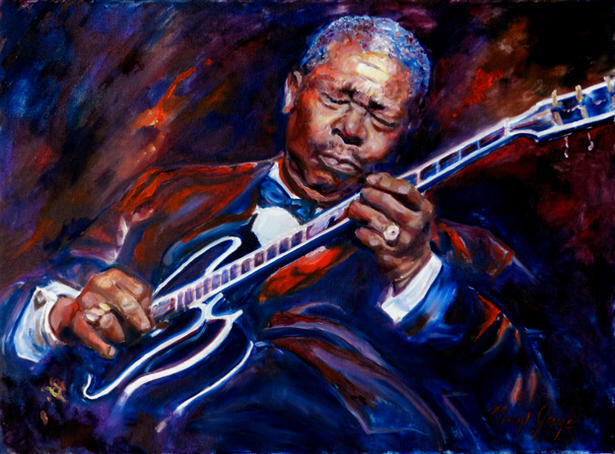 The country blues trio represented the Bay Area at the 2013 International Blues Challenge in Memphis and were finalists among over 400 contestants. Sacramento favorites The Kyle Rowland Band, Catfish & The Crawdaddies and The Sacramento Blues Revue are also on the bill, along with Modesto's Blues Box Bayou Band. Rio Vista's own Derek Abel and his blues band will also bring the blues party to his hometown. Davis' Gabe Lewin completes the stellar line up. Full band links, bios and set times are at www.isletoncajunfestival.net. 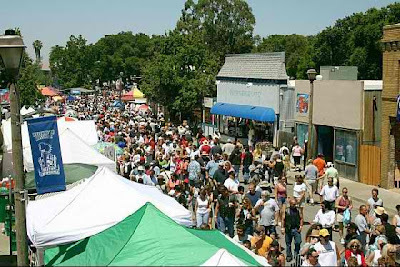 Presented by the Isleton Chamber of Commerce led by new president Lynette Brister, former Chamber president Jean Yokotobi and talent producer Mindy Giles (Sacramento's Swell Productions) the two-day family-friendly festival is promoting the strongest music line-up yet. Over 20,000 pounds of fresh Delta crawdads cooked by Isleton's master c-dadster, Kenny Silva, and festival food from vendors will feed the thousands of attendees. The traditional crawdad eating contest and best costume contest will be held Saturday afternoon. The Jim Ott Brass Band, a 30 piece brass band, will welcome fest goers on Saturday near the large free parking area on the north side of Main Street. Tickets are $15 per day for ages 12 and over. Those under 12 are free. Advance tickets online will go on sale at the festival website @ www.inticketing.com on May 7. Tickets are also available in person at the Isleton Chamber of Commerce office at 23 Main Street.